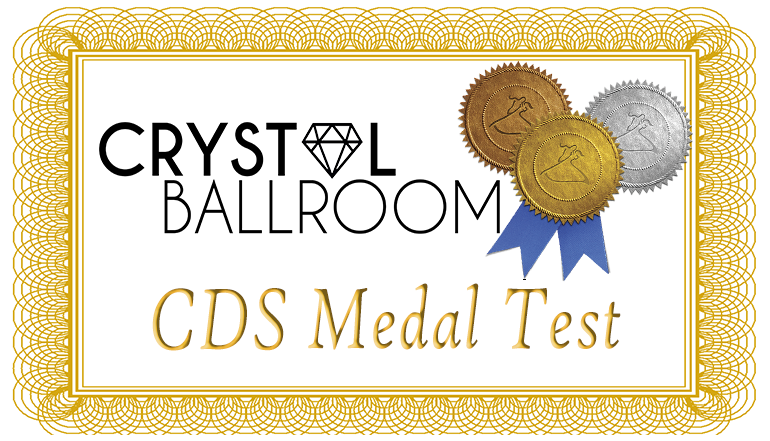 Crystal Ballroom enhances student learning process through highly respect Canadian DanceSport sanctioned medal test in both International Standard and International Latin style on Tuesday, June 18, 2019. The medal test in DanceSport is similar to the RAD exam for ballet, examiners will be looking to test your knowledge of both choreography and technique. The examinations are open to all levels and both male and female candidates. First-time examiners must start at pre-bronze level. Candidates may also re-take an examination as many times as they wish, regardless of the result. Examination fees and pricing are available at the studio and online. If you are interested in taking the exam on Tuesday, June 18th, please fill out the registration form and submit it via email or in-person at the studio. Payments are accepted by cash, credit or cheque. Click to learn more about the Amateur Medal Test and the Canadian DanceSport Syllabus. Learn to ballroom dance at the best ballroom in the Lower Mainland. Ballroom dance has never been easier.